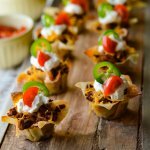 These Mini Taco Wonton Cup Appetizers are the perfect recipe for any get-together, especially your Super Bowl Party that’s coming up. A quick and easy throw together with layers of refried beans, chorizo, and the beloved shredded cheese. 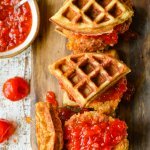 Of course, you will want to gather whatever toppings you like whether that’s sour cream, guacamole, or your favorite salsa to complete these bites. Like many Americans, this is the season that weekends have given way to Football Game Day. And around our house, it means swinging from the heights of exhilaration to the depths of despair. It’s not uncommon to hear sounds of whoops and hollers coming from our living room as well as some pounding on the furniture, screaming at the TV screen and maybe even a little bit of light cussing in the air. 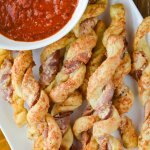 And with the Super Bowl right around the corner, that weekend would not be complete without stuffing our face with a variety of finger foods. And one of our favorites is Mini Taco Wonton Appetizers. 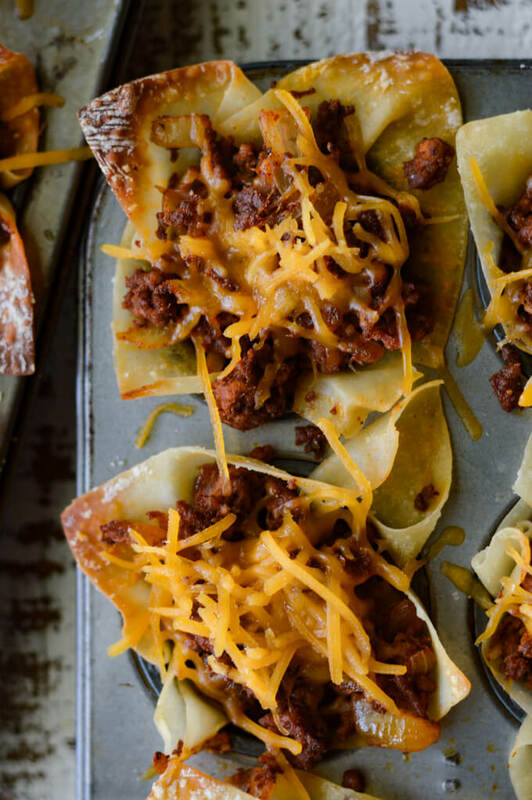 These Mini Tacos can be partially made ahead of time and easily thrown together at the last minute. It’s so much better when you’re throwing a party to be able to prep and cook a recipe before anyone shows up at your door. The chorizo and caramelized onions can be cooked and stored in the fridge, cheese can be shredded and veggies cut up hours ahead of time. Once all that’s done, you can easily have these in and out of the oven in less than 15 minutes. 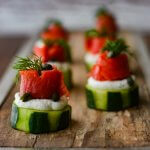 The appetizers can be served at room temperature. 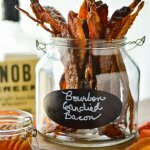 This makes the perfect food for an evening of Super Bowl Partying. 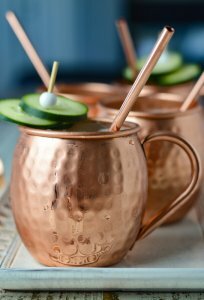 No need to serve immediately or no reason to keep them warm. They are great right out of the oven or sitting on the buffet table for a couple of hours while the game is on. But truth be told, they probably won’t last that long. 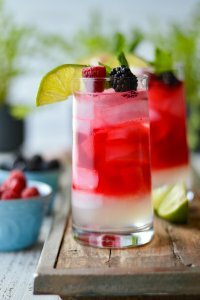 It’s a simple recipe but carries with it loads of flavor. I chose the spicy chorizo because around our house we love food that’s fiery. If you’re wimpier (wink, wink), you can go with the mild chorizo. But adding the layers of refried beans, sautéed onions, sharp cheddar cheese, and tangy sour cream is what delivers the explosion of flavor in such a little nibble. They’re the quintessential finger food. No forks needed here. 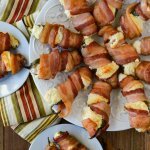 Your guests can grab one of these small bites, throw the whole thing in their mouth and be on their way to the next appetizer. It’s the easiest way to accommodate all the movement and excitement happening in the room. No mess, no fuss, and no hassle. That’s the way a party should run. Wontons – the simplest base layer for this appetizer. Wontons are what makes this recipe effortless. Simply pick up a package in the produce section of your grocery store. They’re already perfectly squared to fit in mini muffin tins. All you have to do is open the package, brush a little bit of olive oil on both sides and gently press them into the tins. You’re ready now for layering the good stuff! After frying up some chorizo, sauté a sweet onion in about 1-2 tablespoons of the grease. 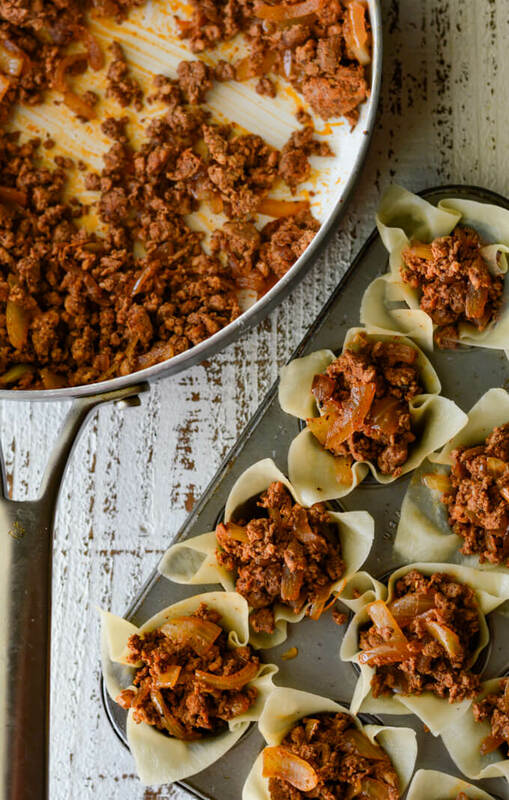 Combine the chorizo and onion together and begin filling the wontons. Spread about a teaspoon of refried beans (not shown in the photo, sorry) in the bottom of the wontons. Then top the beans with a heaping tablespoon or more of the chorizo/onion mixture. The one thing I like about chorizo for this recipe is the meat is already seasoned. It’s loaded with spices and herbs, like chili peppers, paprika, cumin, garlic, oregano, etc. 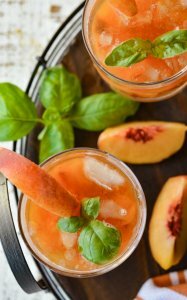 There’s such flavor inside that you don’t even need to add anything, except maybe a little bit of salt. 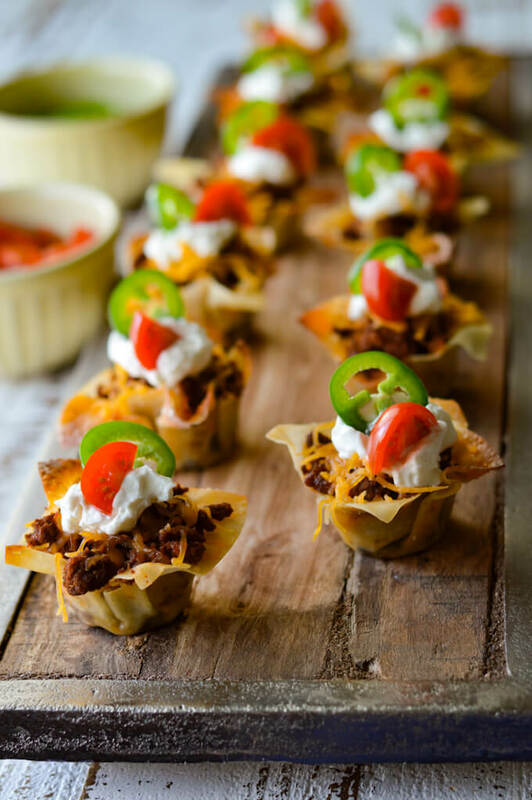 It’s one reason these Mini Taco Wonton Cup Appetizers are so simple to pull together. Place the muffin tins in a preheated 350°F oven and cook for 10-13 minutes or until the wontons are nice and brown and the meat is heated through. Under no circumstance can you have tacos without cheese. It just doesn’t seem right to me. So, once these crispy bites are out of the oven, it’s time to sprinkle on whatever shredded cheese you like. Cheddar is a favorite around our house. I don’t like to add the cheese before it goes into the oven, otherwise, I found that the cheese becomes too baked and crusty. Don’t let the cooked mini taco bites sit in the muffin tins for long. Pull them out and let them cool on a wire rack. The hot pans can sweat and make the wontons a little soggy if left in. At this point, you can add whatever Mexican accompaniments you like. A little dollop of sour cream, thinly sliced jalapeño and a cherry tomato is what I chose. It makes it easy for someone to grab this mini munchie and plop it in their mouth. But of course, guacamole and salsa is always a definite win. The great thing about either quac or salsa is you can purchase them at the grocery store already made up which makes life a lot easier when you’re getting ready for the game. Okay, when its time for the Game to begin, its either gonna make for a GREAT day or a disappointing one in my household, depending on who wins. 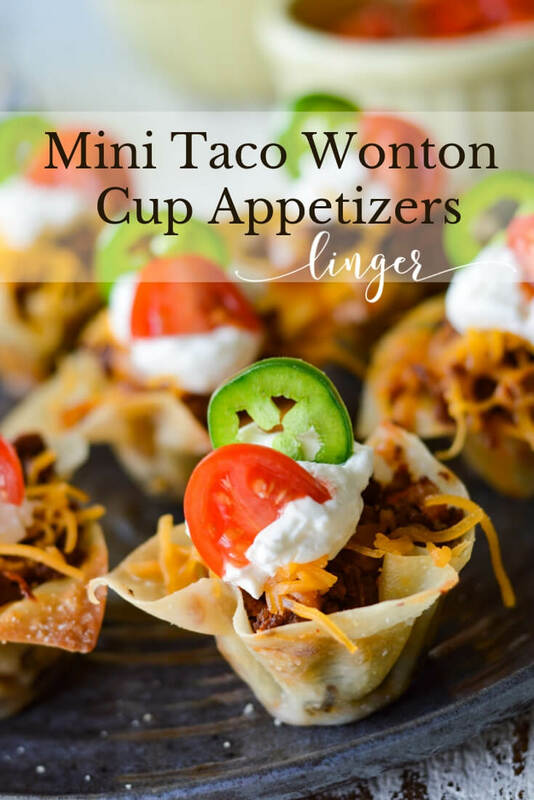 But one thing that’s sure to bring a cheer is these Mini Taco Wonton Cup Appetizers. Please consider leaving me a comment down below for any other game day ideas. I’m always looking for new possibilities to try. 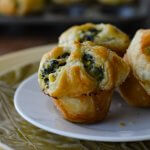 Spinach and Feta Puff Pastries (a home run – sorry, wrong game). 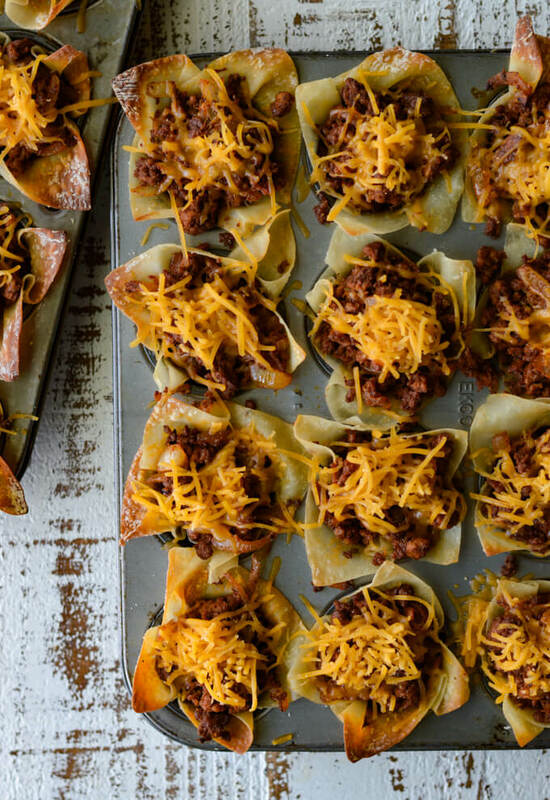 These Mini Taco Wonton Cup Appetizers are the perfect recipe for game day or tailgating. A quick and easy throw together with layers of refried beans, chorizo, and shredded cheese. Preheat the Oven to 350°F. In a large skillet over medium-high heat add the spicy chorizo and sprinkle with salt, fry until browned. Remove from the skillet and drain on paper towels. Drain grease from the skillet, leaving about 1-2 tablespoons. Add the onions to the skillet and sauté until tender and translucent, about 4-5 minutes. Add the chorizo back into the skillet with the onions and remove from heat. 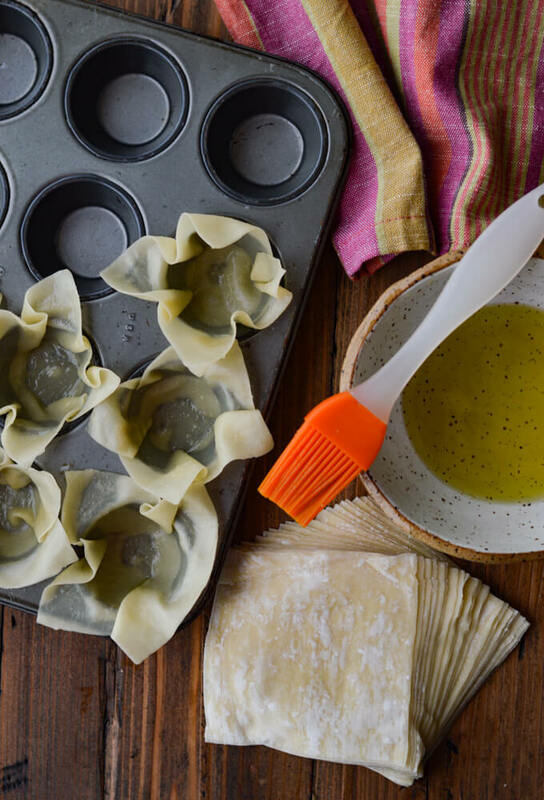 Brush both sides of the wontons (one at a time) and gently press each one into the mini muffin tins. Add 1 teaspoon of refried beans to the bottom of the wonton cup. Add a heaping tablespoon of the chorizo/onion mixture. Place the muffin tin in the 350°F oven and cook for 10-13 minutes until the edges of the wontons are nice and brown. Remove from the oven and sprinkle shredded cheese on top of each taco cup. 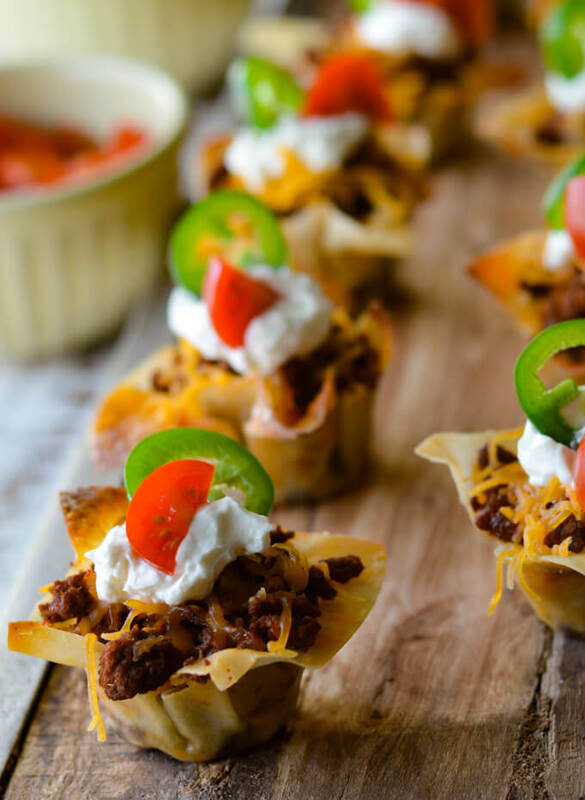 Remove the taco cups from the muffin tins to a serving platter, otherwise, they will become soggy on the bottom. Top with a dollop of sour cream, jalapeño slice and quartered cherry tomato (optional). Serve with additional guacamole and salsa on the side, per your preference. Baby taco! Love these! They are so cute.